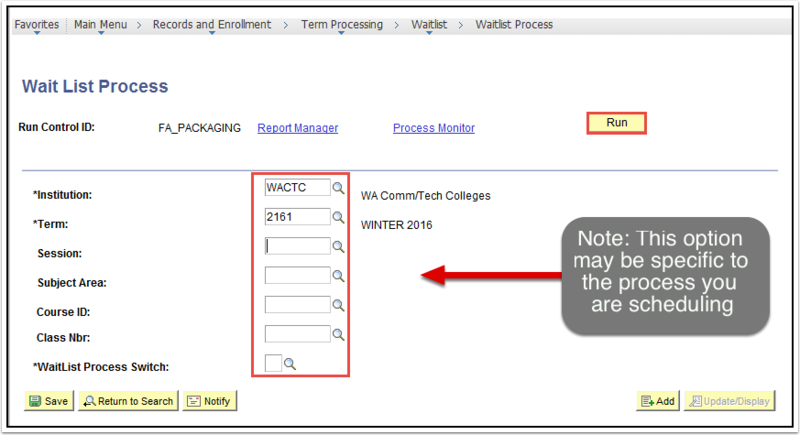 Purpose: Use this document as a reference for the wait list process and the process scheduler requests. Enter information of all parameters (or use look up icon for lists of options). Adjust the Run Date to the date of process run. NOTE: Repeat steps, adjusting the date every time, and you will have scheduled the process to run out into the future as far as you have wanted it to.